Allen Jameson had it all—the perfect house, the perfect partner, the perfect life—until his partner, Gary, died suddenly, leaving him alone in the real world, where life isn't so pretty and people make mistakes. Now Allen is the owner of Sweet ‘n’ Sassy Cupcake Shop, a cute boutique downtown, where he invents delicious flavors like strawberry and French meringue. Between working long hours and making special orders, Allen barely has time to think. Then a hunky contractor walks into his shop looking for a treat. 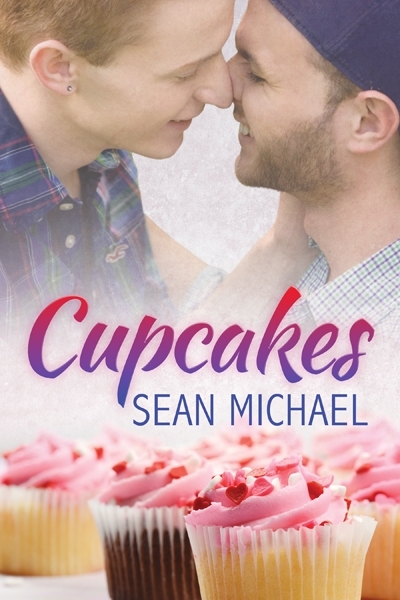 Allen and Byron Bannigan are total opposites, but they're perfect together—salty and sweet like Allen’s signature peanut butter and chocolate ganache cupcakes. But as Allen struggles to juggle his business and his boyfriend, he learns he can only handle so much. He may have to choose between the cupcakes in his store and the cupcake in his bed. PEANUT BUTTER with chocolate ganache. Mexican chocolate with cinnamon frosting. Fresh strawberry with French meringue. Allen put out the day’s cupcakes and started the cappuccino maker. He checked the clock. Six fifty-five. Time to open. He made sure the day’s muffins were out on top of the four-foot counter, then turned the sign on Sweet ’n’ Sassy’s door to “open.” Time for work! The first customers started coming in immediately—Steve and Daniel, Rick, Lowell, and Ron. Heidi and Leeane. He loved his regulars and they loved him, coming into the tiniest cupcake bakery in the whole world for a muffin, a cup of joe, a quick hug, and a smile. Some people might stay long enough for a small conversation, but with only two tables, most of his customers took their sweets to go. By the time it was nine twenty, he was out of muffins; time to head to the back to start the cupcakes for the afternoon orders. Lord. The bell over the door jangled just as he got there, and he returned to the front to find the most stunning man he’d ever seen standing at his counter. Big, buff, and with the prettiest hazel eyes. The jeans and tight T-shirt only served to accentuate the man’s muscles. “I need fancy food for my secretary. She’s pregnant and it’s her last day, and I’m supposed to do something.” The man sounded harried. “How many?” Three o’clock. Damn. Okay. Maybe. “As long as a lady would think they’re pretty, it sounds great.” The man had an amazing smile, eyes crinkling up, teeth white in his tanned face. “Okay. Okay, I’ll have them ready at 2:00 p.m. It’ll be a twenty-dollar deposit, please.” God. Okay. He’d be here late this afternoon making that birthday order for Mark and Wade, but it was a nice little bonus order. “Oh, you rock. Seriously, you’re a lifesaver.” The guy pulled out his wallet and handed over a twenty. “Thanks for stopping in. I’ll have your order ready at two.” Busy was good, right? “B. Banigan. I got it.” He wrote the receipt, then handed over a copy. “I’ll be here.” Allen’s fingers tingled, and he actually felt his belly get tight. God, he missed the days when Gary had connected with him like that. So bad. Then the man was heading for the door, offering a very fine view. Allen rolled his eyes at himself. Christ, he was a giant dork. Seriously. He wasn’t in a place to even admire. Hell, he was finally in a spot where fantasizing didn’t make him cry. Still, if he was going to fantasize, Mr. B. Banigan was a good place to start. Allen sighed, shrugged. Whatever. It was time to get to work, right? Make cupcakes, make joy for people. He pushed B out of his mind and began.